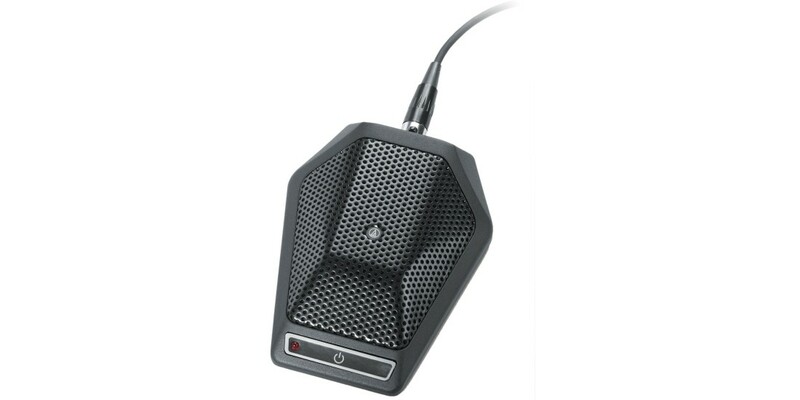 Designed to deliver easy, flexible control in conference and boardroom installations, the versatile U891R cardioid condenser boundary microphone features a touch-sensitive on-off switch that can be set to three modes: press-on/press-off, press to talk, and press to mute. 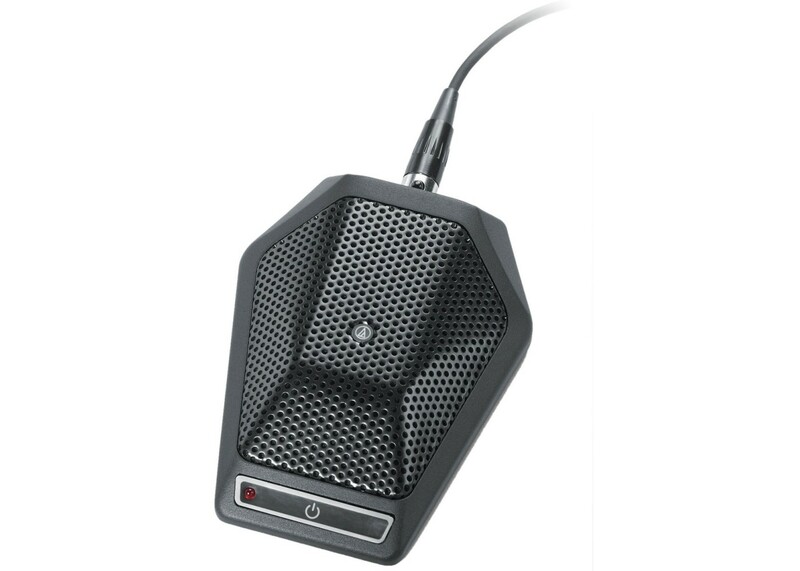 The phantom-powered microphone is equipped with a unique PivotPoint™ rotating output connector and an LED status indicator. UniGuard™ innovations offer unsurpassed immunity from radio frequency interference; interchangeable elements are available in cardioid, hypercardioid and omnidirectional polar patterns; an 80 Hz low-cut UniSteep® filter reduces pickup of low-frequency ambient noise. The microphone’s heavy die-cast case and silicon foam bottom pads minimize coupling of surface vibration to the microphone. The unit’s self-contained electronics eliminate the need for an external power module.